Is there any stori more interesting than your own? Comedy, tragedy, adventure, love – it’s all there just waiting to be captured on the page. The Journal Collection from Stori Modern is, like its namesake, all about you. It is a place for respite and reflection; a welcome escape from the hustle and bustle of the day. 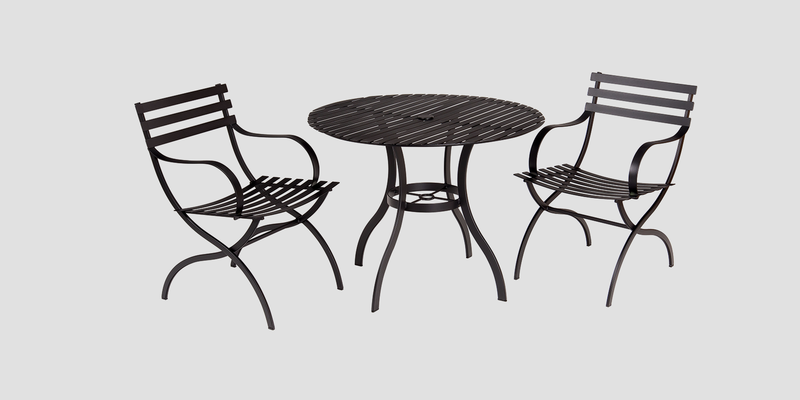 The beautiful curves of this oversized bistro-style dining set are at once inviting and intimate. But with whom you choose to share it is entirely up to you. Understated earth tones are your camouflage against the world as you confide your deepest secrets, decipher a coded letter or perhaps simply relax with a good book and your pipe. Not everything has to be a mystery. Unless, that is, you’d like it to be. This stori is a series of blank pages. How you write it is entirely up to you.